this unilodge is at the prime location of the city. it offers a multipurpose hall which includes a study space, a pool table, table tennis etc. There is a central lounge area also where you can watch television with other fellow residents. you will enjoy the free bbq on most Sundays and numerous other activities like easter party etc. unilodge also offers dinner, lunch etc at very cheap price in many restaurants most of the time. The room has an electric heater with free internet, water connection. It is very close to Deakin University. The house has a homely feel , with the garden and lawns maintained.A cleaner is also included . Upstairs and down stairs has heating and cooling . This lovely 3 bedroom fully furnished art deco house with private rear courtyard and central heating is located in the centre of Fairfield. Only a 10 minute walk to Station street shops and Fairfield train station. 5 mins walk to Northcote Aquatic Centre. First arrived, First served, for this amazing Ensuite located near Melbourne Central is available for a period of 2 months (minimum). Already furnished, you just need to buy your own sheets... For only $1191.7/month all bills included you can access the comfort of your private bedroom, 2 windows, bathroom with unlimited hot water and electricity, shared kitchen facility, a great place to live, spacious, no stairs to climb, safe with multiple access keycards, kitchen cleaner personnel included! I'm sure you will feel quite at home, private room offers a lot of natural light, already finished but you are free to bring own furniture if you require, shared bathroom, spacious lounge/kitchen areas, aircon &amp; heating in lounge. This outstanding studio apartment is Located in the heart of Carlton on Swanston Street .Boasting spacious open-plan lounge/dining areas area awash with natural light via extensive outlooks to the City skyline and accompanying kitchen featuring gas appliances and ample storage. 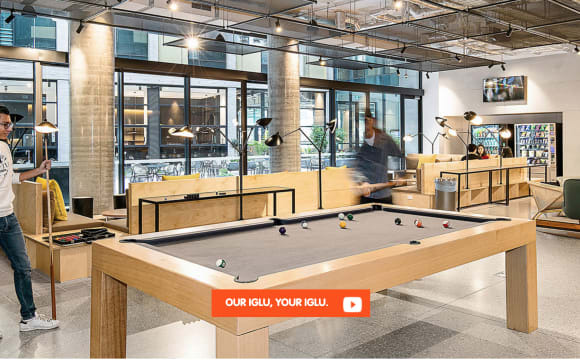 Also take advantage of using one of the many facilities we have on site from a full gym, BBQ area, seminar rooms,24/7 Reception, large lounge equipped with Foxtel so you don't miss any of your favourite shows or sport matches there is also an outdoor pool that you can use as Melbourne's summer sets in. Rent includes unlimited internet, Gas for cooking, Content insurance and membership in our fantastic Community Spirit Programme. Aside from enjoying Melbourne University’s exceptional amenities, you’re also close to RMIT University, local cafes and eateries, iconic Lygon Street restaurants, parks and reserves and public transport including city-bound trams. Contact us on phone or email to book an inspection today. Just for students, No shared accommodation!! 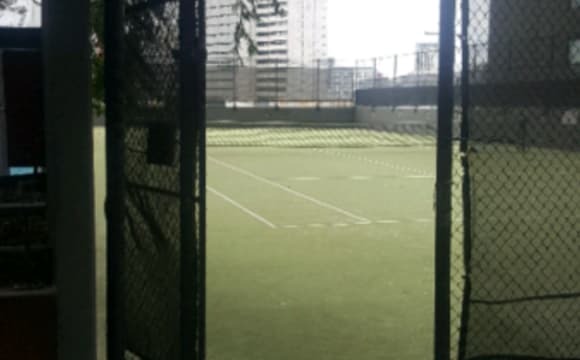 Nice studio on the 9th floor (unit 912) to be rented for 2 months or more until July 11th, 2019 by a single person. Fully furnished and equipped. Administration by Unilodge. Building has facilities such as swimming pool, gym, 24 hours front desk, security, BBq area, among others. 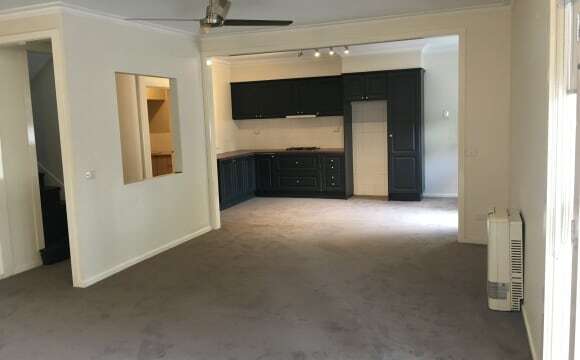 Rent $300 AUD per week (internet and gas included). Tenant need to be a student of any educational entity. Immediate availability. 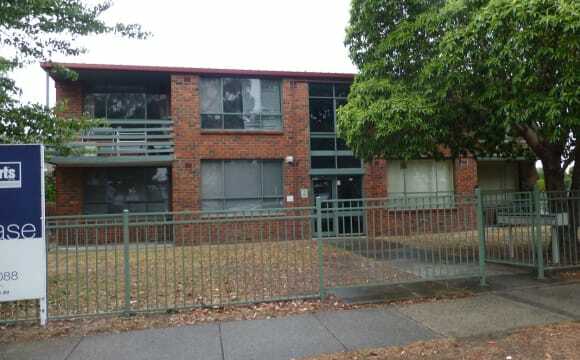 Registered rooming house focusing on student accommodation. 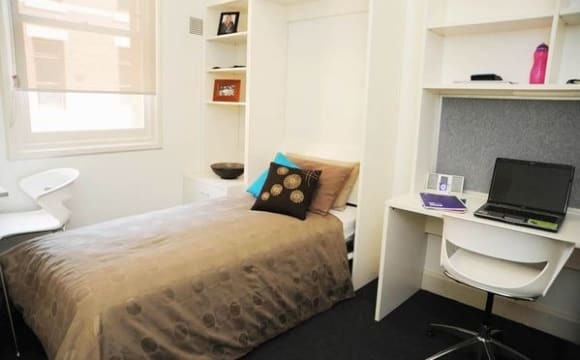 This student accommodation is conveniently located just outside of the city, surrounded by local shops, restaurants, cafes, and public transport. Property features include: - The bedroom is furnished with a desk, chair, electric heater, mirror, wardrobe, shelving, bedside table, single bed frame and mattress. - 2 showers and 4 toilets - Fully equipped kitchen - TV room - Laundry &amp; dryer facilities - Free NBN wifi - Alfresco terrace with outdoor table and chairs - Public transport located right outside your doorstep - Located less than 5 km from CBD - Security cameras - Fully furnished - Common areas serviced by cleaning staff. The location is not Saint Kinda Suburb, it is on Saint Kilda Road (closer to the city, more quiet and safer area) Situated moments from the CBD, Albert Park Lake and Sports Precinct, St Kilda foreshore, Fitzroy Street restaurants and bars not to mention public transport right at your door step, this first floor apartment will surely tick all your boxes. ***Available*** 1 twin bedroom for 2 females, coming together or separate 2 single and confortable beds, 2 reading lamps, 2 bed side table, 2 laundry baskets, 1full lenght mirror, spacious wardrobe, bed lining and pillows are supplied. OR 1 twin bedroom for 2 males, coming together or separate 2 single and confortable beds, 2 reading lamps, 2 bed side table, 2 laundry baskets, 1full length mirror, spacious wardrobe, bed lining and pillows are supplied. - Spacious living area - Separate dining area - Enclosed sun-filled balcony - Bathroom with separate bathtub and shower facilities - Laundry room - Security entrance ***Included in the rent*** All utilities: Gas, water, electricity and unlimited internet Cleaning service once a week in common areas (and cleaning products) Free access to Netflix Please text or call for further information, if you are still overseas message here is fine or Whats App. No question the rooms are on the small side but l think the location definitely makes up for that.Open plan living looking out to large courtyard. Just 2 minute walk to the tram stop beach 5 minutes 7 minutes by tram to southern cross station.Freeway 3 minutes away.Nice quite street . Its a fully furnished apartment, you only need to bring your belongings and yourself. We have beautiful natural lighting in the apartment and amazing sunsets. There is a separate study area which is perfect if you are a student. Private Bedroom Available on 12th Mayl !! 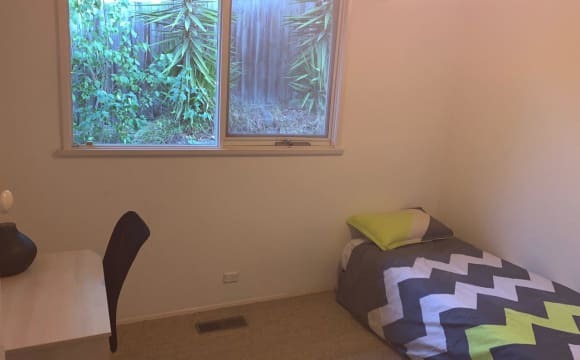 $450 a week 📦 Available on 28th April 📍 285 La trobe street, CBD , 3000 ( 2 minutes walk from Melbourne centre ) I am looking for Clean and Tidy person respectful house rules and politely. OWN Bedroom for COUPLE or SINGLE 2 Bedrooms 1 Bath room maximum 4 people in whole room. _ $450 a week INCLUDED Bills _ Don’t share living room - Bond 2 weeks - Gym , Swimming pool - Don’t make noice after 11 PM. - Minimum stay 2+ months - Don’t smoke in the room. - 2 minutes walk from Melbourne Centre. - 2 minutes walk from Melbourne Centre. - Fully Furnished : Dryer machine, Washing machine, fridge, dinning table, wardrobe, Hanger, Kitchen utensils, kettle. 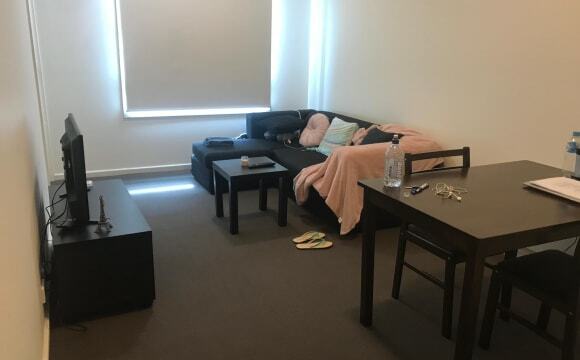 📍 285 La trobe street, CBD , 3000 ( 2 minutes walk from Melbourne centre ) I am looking for Clean and Tidy person respectful house rules and politely. OWN Bedroom for COUPLE or SINGLE 2 Bedrooms 1 Bath room maximum 4 people in whole room. _ $450 a week INCLUDED Bills _ Don’t share living room - Bond 2 weeks - Gym , Swimming pool - Don’t make noice after 11 PM. 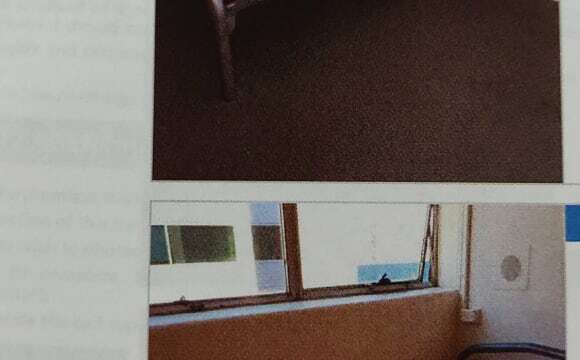 - Minimum stay 2+ months - Don’t smoke in the room. 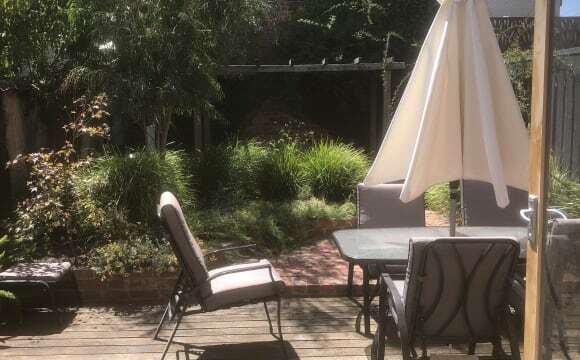 - 2 minutes walk from Melbourne Centre. - 2 minutes walk from Melbourne Centre. - Fully Furnished : Dryer machine, Washing machine, fridge, dinning table, wardrobe, Hanger, Kitchen utensils, kettle. Internet available at own cost. This is a beautiful house with a nice look out to Dandenong ranges mountain. There is 4 bedrooms and 2 bathroom. The area is quite but very pretty and shows the Australian Bush with country walks and wildlife close by. This property is located in the heart of old Berwick. It is a beautiful big house with large backyard and solar heated swimming pool. It has a bus stop at your doorstep, close to all schools / universities, walking distance to shops, fantastic dining and beautiful parks including the Botanical Gardens. Each room has heating and cooling and built in robes. Bedroom 1 which is downstairs has its own lounge, study, separate bedroom and ensuite. Bedroom 2 has a magnificent walk in robe and own beautiful ensuite, bedrooms 3 &amp; 4 are large rooms and one of the rooms also has a landing which is ideal to use as a study, bedroom 5 is a smaller room which will have full use of the separate study. The home is freshly renovated, clean and well presented, fitted with ducted heating/evaporative cooling and a ceiling fan in each bedroom. It is located in an ideal spot close to all amenities such as parks, tennis courts, libraries and a short 10 minute bus ride to Watergardens Town Centre. There is a train service that goes both to the city and country. The two main bus services that operate in the area are the 460 (Caroline Springs) and 461 (Watergardens). The property has an outdoor entertainment area and lovely garden for privacy.